In the western city of Chengdu is a Chinese church that has about 500 attendees. On a busy weekend the small room of the church will squeeze in about 2,000 believers who eagerly await a message from Pastor Wang Yi. 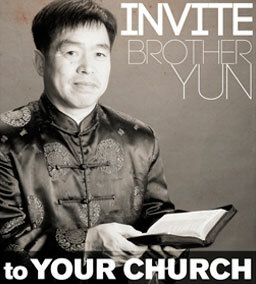 Pastor Wang Yi is not your normal Pastor. He had a very good life in China before he became a pastor. 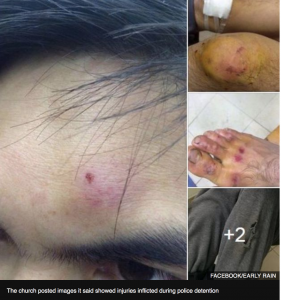 Now he and his fellow believers are being persecuted for his belief in Jesus. 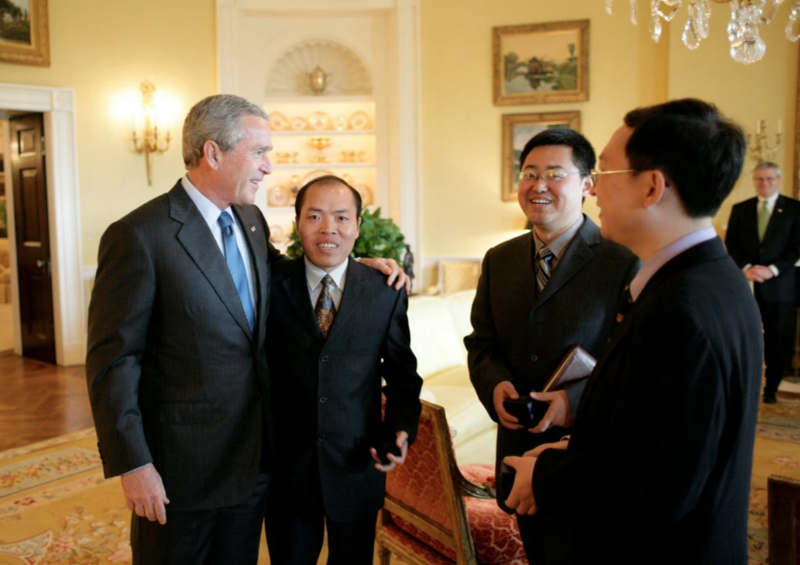 In 2003 Wang Yi (pictured above with President Bush) was a successful attorney and a legal scholar at the prestigious Chengdu University. In 2004 he was included in the list of “50 Most Influential Public Intellectuals of China by Southern People Weekly. However, in 2005, something huge happened in his life. He found Jesus! Wang was baptized and started to serve in the local house church. In 2008, he and his wife started their own church – Chengdu Early Rain Reformed Church (秋雨之福归正教会). 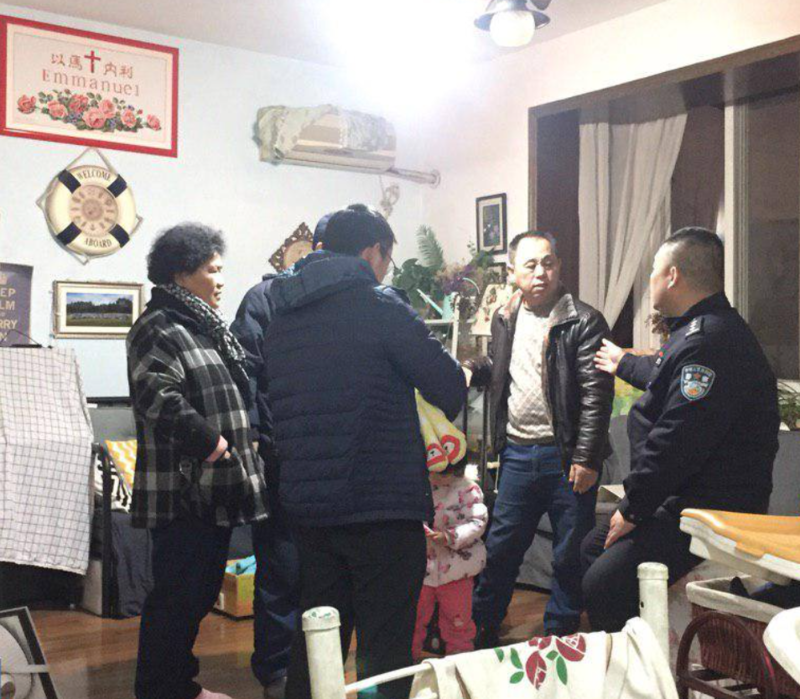 On 9 December 2018, police raided the church and arrested Pastor Wang and his wife Jiang Rong. 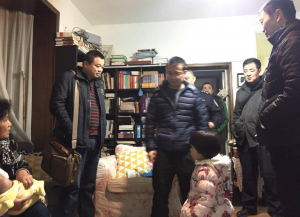 Over the following two days, at least 100 church members, including Wang’s assistant, were taken away. The church dispersed and have started to meet in small groups at people’s homes, but that has not kept them safe from persecution. Yesterday, January 17, while a few friends and their children from Pastor Wang’s church gathered in a home for a private Bible study, more than ten law enforcement officers busted into the room (pictured above), including national security, police, and Religious Affairs Bureau officers. There was a baby and small children in the room, but that did not stop the police from breaking up the private gathering and demanding that everyone stop praying, stop reading their bible, and return home. The raid (pictured above) was meant to intimidate and put fear into the hearts of the believers so that they would not attempt to pray or read their bible with their own friends and family members. Since December 9, the members of Early Rain Reformed Church have been arrested, beaten, and thrown into jail. On January 15, the church boldly posted this statement for those that are praying for them. What is happening to Early Rain reformed church is happening all around China. The persecution is increasing in China, but it is clear that the increase in persecution is not stopping the growth of the church. Please continue to pray for China, the underground house church, and the Back to Jerusalem missionaries. You are family and we love and pray for you.